CAPE CANAVERAL, Florida -- A great white shark weighing over 2,000 pounds that was tagged with a radio transponder to be tracked by satellite has had its latest ping locations off the coast of the Canaveral National Seashore north of Cape Canaveral, Florida on May 10, 2014. The 14-foot great white shark, named Katharine, that was tagged off Cape Cod last August, has steadily been making her way southward along the Florida coast. 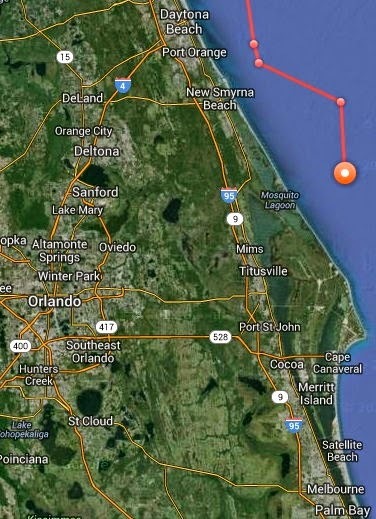 Katharine has remained just off the east Central Florida coast since May 8, 2014, making her way from Flagler County south to Volusia County, and now Brevard County.